Microsoft launches Skype Preview on Windows 10 Mobile. 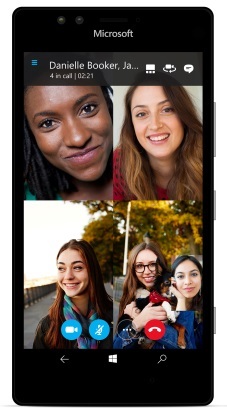 Microsoft today announces the launch of Skype Preview on Windows 10 Mobile. This release brings one of our most requested Skype features to your Windows 10 phone: the ability to make group video calls. You can have up to 25 friends and family come together on a free group video call, talk face-to-face with a 1:1 call, message your friends in an instant to share photos, emoticons and Mojis to liven up your conversation. You can also quickly reply to Skype messages-no need to open Skype. Later this summer Microsoft will bring new features to Skype on Windows 10 Mobile, including SMS relay. With this feature, you'll be able to send SMS messages from a Windows 10 PC or Windows 10 phone, giving you the ability to send and receive texts, group messages, and photos all in one app, as well as a single view of your SMS and Skype conversations.